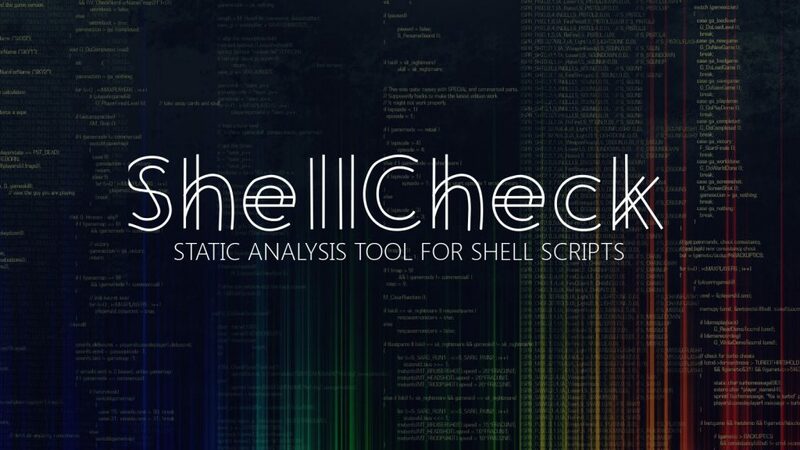 ShellCheck is a static analysis tool that gives warnings and suggestions for bash/sh shell scripts. There are a number of ways to use ShellCheck. Paste a shell script on https://www.shellcheck.net for instant feedback. ShellCheck.net is always synchronized to the latest git commit, and is the easiest way to give ShellCheck a go. Run shellcheck yourscript in your terminal for instant output, as seen above. You can see ShellCheck suggestions directly in a variety of editors. Most other editors, through GCC error compatibility. While ShellCheck is mostly intended for interactive use, it can easily be added to builds or test suites. ShellCheck makes canonical use of exit codes, and can output simple JSON, CheckStyle compatible XML, GCC compatible warnings as well as human-readable text (with or without ANSI colors). What kind of things does ShellCheck look for? ShellCheck can recognize many types of incorrect test statements. The easiest way to install ShellCheck locally is through your package manager. or use koalaman/shellcheck-alpine if you want a larger Alpine Linux based image to extend. or see the storage bucket listing for checksums and release builds.